What many Christians today called and considered as ‘PROPHETIC ACTIVATION’, the Lord calls it: RELIGIOUS CHARADE…that will NOT profit. Furthermore, the Lord has spoken to me, prior to March 11, 2017 about this popular ministry on social media, reknown in the PROPHETIC ACTIVATION-business that the Enemy has sent his agents to infiltrate this network with the goal of deceiving and steer many out of God’s path. What separate many long time servants from God are the IDOLS they carry in their hearts. Idols in this sense do not consist as of the dumb objects, carved and molded images that cannot speak or hear nor have power to do good or evil that the children of Israel have fashioned and worshiped. As a servant of God seeks daily communion with Him, comes to God, with a heart full of idols~~ already ASSUMING they know God’s best for the BODY, the Lord will respond to him according to the multiple of idols in his heart. The Lord will honor the intentions of your heart and allow you to be deceived, do according to your will and fall out of His will. Many servants who have been serving in ministry for decades think they are doing the will of God but when in fact they are working the exact plans of the enemy. The Lord warned! Prophetic activation is one of the RELIGIOUS CHARADE that is in clear operation in the Church today as given to me by the lord. And I REPEAT only by the power of the Holy Spirit one can truly flow in the prophetic. Whether you are called into the office of a prophet or you are just called to be a prophetic person, NO men can help you flow in the prophetic. No human can make this experience happen for you, otherwise the Lord warns that’s an idol in your heart, if you have a MIND to believe God only wants to release blessings, encouraging and uplifting words to people and began speaking blessing over anybody ‘s life without seeking to know His will for that person. I REPEAT: speaking blessings over someone’s life is NOT prophecy nor helping anyone to flow in the PROPHETIC. However there is nothing wrong in speaking blessing over one’s life. Today we see hundred of Christians turning their lives over to these so-called FORERUNNERS in the faith~~running to and fro to every place where there is to be a PROPHETIC ACTIVATION or to any school of the prophets. These Christians are spending hundreds of dollars at these schools and prophetic conferences ACTIVATION as if the gifts of God can be bought. Why are Christians who claim to hear from God and operate in the gift of prophecy allowing these leaders to manipulate them? Why pay hundred of dollars to flow in the prophetic and allowed these blind leaders to bring you to their expectation? The Lord recommends for all Believers who wish to flow in the PROPHETIC….All they have to do is setting aside specific time for daily communion with the Father…commit themselves completely into a consistent intimate life with God, seek his face early morning hour, one hour the least in prayer and worship adoration for instance, with intermittent short prayer break during the day and one hour in the evening before bedtime in bible reading and prayer. The Lord also recommends all to stand in the gap for others as they petitioned Him while making the word an integral part of their lives, living the word of God, practice it and obey it. Any servant who wish to increase his prophetic giftings must spend more time on his face before God than he ever does his ministry work. The Lord is the ONLY giver of gifts. It is God who controls both the spirit and physical world in all power and authority as the INSTIGATOR of PROPHECY. It is true that God wants to bless and empower all His children with all sorts of gifts through prophecy, speaking in tongues, healing, speaking and releasing his counsel to the Body of Christ. However there is a DIVINE ORDER of thing that must be followed, it cannot be broken by our own opinion. For instance, I was called into a deliverance ministry~~to a young man who has been involved in astral projection for years due to an inherited curse( when you are astral projected it means demons are pulling you out of your body during your sleep, it could even happened while you’re awake. You then enter into contact with the spirit realm not through the Holy Spirit but through demonic powers, your spiritual eyes become opened, you can navigate through the marine kingdom and many other realm in the spirit all under demonic control….) After I worked with him through his deliverance from the demonic world, I was instructed by God to PROPHESY over his life. The Lord then said to me I gave you these 2 objects, a KNIFE and a PEN. When I asked Him what to do with these He said to find all scriptures in the bible related to a knife and pen and prophesy over him based on these verses. I was also aware that the Lord has plan to use this young man mightily for Kingdom work. My point is, as a servant, can I in turn, find 2 Christians friends and gather them into a room, ask them to visualize 2 objects and prophesy in turn over their friends based on these objects. Understand that if I were to do that, I would be in flagrant violation to God’s divine law and order. Beware that any visualization is a form of demonic mind control, used to establish contact with the spirit world through demonic power. Visualization is very popular with new age teachings. We Christians must ask ourselves these so-called prophetic activation are they based on the word of God? Are these practices based on the true foundation of Christ? Understand that gathering 100 or more Christians in a prophetic conference and asked them to prophesy over one another through visualization technique (using objects depicted through their mind to release blessing) is NOT PROPHECY nor PROPHETIC ACTIVATION. Though they claimed to have asked the Holy Spirit to lead them through scriptures to prophesy over people. Through spiritual pride & IDOLS in their hearts, many servants of God have forsaken God’s will for their lives and close the door to the pure flow of the Holy Spirit. They have set themselves up above the council of scriptures…..doing so called prophetic activation that God never ordains. They serve God in their OWN STRENGTH and for their own religious gain. There are so many high profiles ministries on social media who are operating out of a wrong spirit. 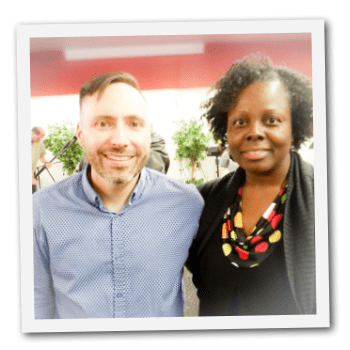 These long-time servants who once have been commissioned and appointed by God to carry out His will for the Church end up working for the enemy through pride. The Church that wants to MAKE IT HAPPEN through their own ways, by their own strength and not through God’s will, will be led astray. 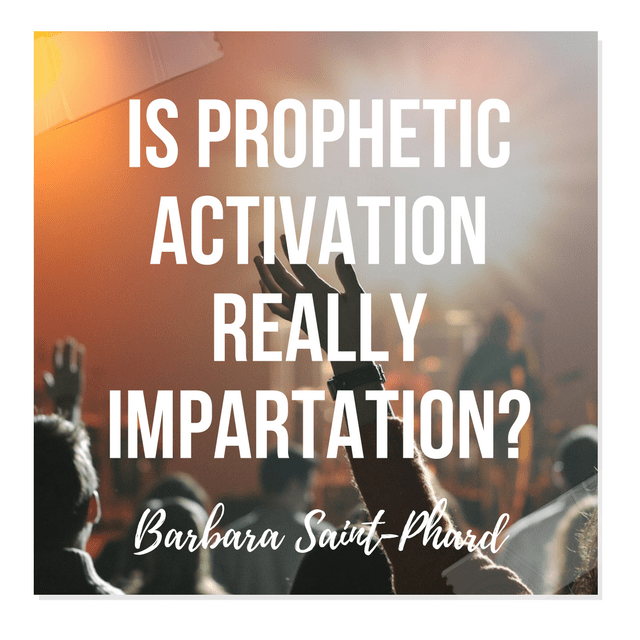 While these leaders claimed that IMPARTATION of gifts will take place during their so-called PROPHETIC ACTIVATION, understand that even apostles or prophets who happened to be forerunners in the faith cannot release what God has not ordained. It’s God who gets to decide, when? where? and how? While spiritual gifts will be released through impartation, however be warned! prophetic activation is NOT a FRUIT of impartation. Many believers will receive impartation, allowing them to flow into a greater gifting and greater anointing as the Holy Spirit connects them to other prophet/apostle that operates in a stronger flow, however we cannot take it upon ourselves to stir the gifts in another in our own timing, by our own self will. Some think they can activate, revive, restore, rekindled, fueled Christians in the prophetic anointing on their own timing, during small or large group training with the knowledge of the word, using scriptures when the atmosphere is devoid of the glory. We all need some formal kind of training to equip, build up and impart allowing us to flow freely in our giftings however, but when you take it upon yourself to gather these big group of christians during these prophetic conference for activation, training, impartation, confirmation, does this idea originate with God or from your soulish flesh? When leaders think their ideas are better than God’s and think they know best the purpose of God for the equipement of the Body, the DECEPTION is very gullible to accept. They think they can get there on their own strength, they believe they can command and release the giftings through their own power, they actually believe they can control the timing for the prophetic release through their own self-will. Sadly enough what many think they are receiving from God through PROPHETIC ACTIVATION is nothing but a soulish reaction from their flesh. Some people believe they can force PROPHECY as if God will bow down to their fleshy commands. Well, I know my God is not the author of confusion.The IDOL many of these servants carry in their hearts is: ASSUMPTION. In assuming they already know the mind of God on this, taking into their group hundred of people they have not even met for once in their life….while the enemy is infiltrating their circle with his agents. Woaw !! For we do not always know what God’s purpose is for His body, while a way may seems right to a man but its end lead to death. Dear followers of Christ, rest assured that God is the God of His word. God stands for His word. And at the last day, His word will judge us all. Understand that our God will never allow us to find comfort and peace in wrong teachings, the Spirit of God will never lead us into half-truth, a little bit of this, a little bit of that, to justify our own beliefs & opinions. As Christians, we must be alert about receiving any GIFT from someone you do not know or from anyone the Holy Spirit has not led you to. We must be sensitive to the lord”s guidance at all times. The Lord warned me how important it is that we be OBEDIENT, surrender our will to Him, as we do this the Holy Spirit is free to FLOW through and in us to IMPART onto others the GIFTS God has freely given to us. Any servant who has totally surrender to God and to His will, will receive anointing to get fueled to impart, God release us to impart. Not by our might nor by our power but by the Spirit of God. God is MERCIFUL & LOVING, it is not His desire to see anyone PERISH. He is calling these SERVANTS into REPENTANCE, to return to Him in HUMILITY. The Father is saying to get back in the Spirit and be led by the Spirit of God. Because it is in HUMILITY, through DYING to flesh, self and the PRIDE of life that we can TRULY be restored to start receiving again from Him afresh and anew. Ezekiel 14:1-3 Now some of the elders of Israel came to me and sat before me. And the word of God came to me, saying: “Son of man, these men have set up their idols in their hearts and put before them that which causes them to stumble into iniquity. Should I let Myself be inquired of at all by them? Ezekiel 14:4-6 Therefore speak to them and say to them, thus says the lord God. Everyone of the house of Israel who sets up his idols in his heart, and put before him what causes him to stumble into iniquity and then comes to the prophet, I the Lord will answer him who comes according to the multitude of his idols. That I may seize the house of Israel by their heart because they are all estranged from Me by their idols. Romans 1:11 For I long to see you that I may impart to you some spiritual gift, so that you may be established. In a vision last night, I saw the Church as an incapacitated woman. The woman was laying on her bed asking for her baby to be carried to her. I knew she could not get off the bed, wasn’t sure why she couldn’t get out of bed exactly. I then saw myself in another room with another woman like a midgit, very short holding the baby in her arms. The baby was whinning for her mother. I then reached forward and took the baby from her to see if she would stop whinning. The baby was fine but she kept whinning, over and over saying: “ Momma…momma….momma” so i handed the baby back to the woman and she carried her to her mother on the bed. It was then I noticed that the baby had no lower legs, she was a paraplegic. After I got up, I asked the Lord the meaning of the vision. Today we see too many ministries operating in the body of Christ as exact replica of each other. Many come before God, full of idols in the heart seeking financial blessings and gifts from God, expecting God to work as a santa claus, constantly in the clock releasing financial blessings after blessings. Expecting gift to come when they want it and how they want it. Selfish ambition–portray by the winning baby, will not convict many so-called Christians in the church to lay down their lives and taking up their cross. As the Church acts as a ‘spoiled baby’, seeking first financial blessings rather than seeking the kingdom of God first too many are falling into the wiles, snare and temptation of the evil one. Today we see too many churches operating as commercial churches in their own self-will. Driving by selfish ambition, looking to another one’s blessing, many are relentless in pursuing God with a wrong heart clouded by evil intents. There is an entitlement mentality going around in the church that says: ‘if God did it for him, He can do it for me too.’ I have seen many people falling into deception of not understanding how God work out all things. Not knowing where a servant has been through before he was ever blessed by God…not understanding the things a particular servant had to give up or go through in order to receive such blessings, selfish ambition are stirring many into the wrong path of lusting after another’s blessings. But understand that the gifts of God do not consist only in financial blessing but in spiritual gifts, the gifts of miracles, healings, speaking in tongues, prophecy to empower His body be all that He has called us to. While God chooses to bless a servant financially, He may have a different path for another. That’s why it’s always important to seek to know God’s will first and pray in accordance to His will. It’s time to focus on the eternal rather than the temporary. On the ministry portion, the church is not doing what she supposed to outside the Church building to bring the gospel to others due to her incapacitation potrayed by the woman on the bed and also representative of the paraplegic baby. The Church cannot STAND for evangelisation work to which it has called. The church must return to God in spirit and in truth, reaching deeper into the Father’s heart. The Church must return to God in full surrender and obedience to God’s word by learning to contend for the faith, STAND UP and fight as good soldier in Christ to be ALL that God has designed it to become. The church’ age is short live as the Lord said as we are stepping into a new limelight. A far end-side where things are becoming increasingly difficult. This the time where everyone must make a choiche, either step up into the perfect will of the father or stand still as a whinning baby. My prayer is for the church to step up and be the Church God has called it to be. The body of Christ to be the backbone bringing a living light to others. I pray the body will not step down but forward. May the Church reach the purpose for which God designed it. May she has new courage, strength to stand tall in the face of adversities. May the Church carried more passion for the things of God and the work of the kingdom to which it was called. The time is near that the Church must step forward as change agents, for we have lives to change that are awaiting. We have destinies to fulfill. We have places to reach to which God sent us by his design.